Starting on July 20, 2011, all US orders and backorders weighing less than one pound where standard shipping was selected will be sent using UPS Mail Innovations--a share program with the US Postal Service. UPS provides the pick-up, processing, and interim transportation, with the final delivery being made by the US Postal Service. This change should not affect your normal order delivery timeframe and in some cases will allow us to ship small orders more quickly with the option for Saturday delivery. When your order ships, you will still receive an e-mail confirmation from Stampin' Up! with a tracking number and a link to the UPS website. Please note that if your order was placed with expedited shipping, the order will be sent using the normal expedited process. Sweet Pressed Cookie Stamps will be available as of October 1st. This is such a wonderful gift idea, and I know they will be extremely popular with my customers. I made 3 batches of these to share at a get together and give to neighbors. They were a big hit with everyone that tried them. I will be able to post photos of the actual product as of the 1st. 1. 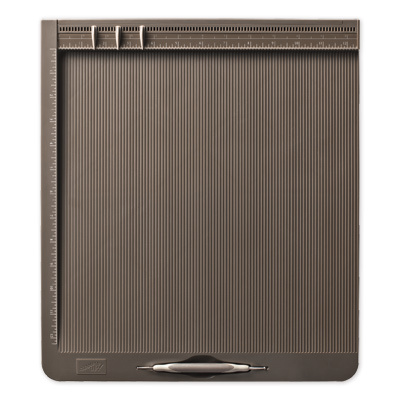 Score card base (Rich Razzleberry … 8 ½” x 5 ¼”) at 4 ¼”, crisply fold. 2. Stamp cat image on white card stock, then punch out with 2 1/2 “ circle punch. Set aside. 3. Adhere the larger black piece of card stock to card base. 4. Adhere smaller black piece of card stock to the small piece of Rich Razzleberry card stock. a. Position and glue the cat. It should overlap a bit on the edge (trim off excess). b. Rip Old Olive piece and then glue over the whisper white circle/cat. c. Attach ribbon to the top of this piece. Small piece of ribbon used to tie knot. d. Attach to card base. Part 3: These are the final photos of the Quick Accents - Letters to Santa, item #122369 ... $9.95 per package. Remember I got 57 cards made using two packages. All I had to add in was a card base, Christmas sentiment, and ink for the sentiment. Quick Accents are "heavy-weight self-adhesive die cuts and paper ribbon sheets. 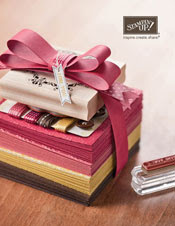 Sheets contain multiples of many die cuts and paper ribbons perfect for lots of projects. 2 sheets: 1 ea of 2 designs. 12" x 12" ." This is one of my favorites. This was made with 1 inch pieces that were left when I cut the 12 x 12 in two 5 1/2" wide pieces so that they would fit the cards without trimming. Thought it would be fun to make a faux quilt look, and I am pleased with the results. Back in March I posted a tutorial on how to make the faux quilt look. I placed the small pieces on one inch squares, the using adhesive attached the squares to a larger piece of card stock, then cut out using the Top Note Die. The latest digital downloads are now HERE. Part 2: I am going to share with you a few of the cards I made using the Stampin' Up! Product called Quick Accents - Letters to Santa, item #122369 ... $9.95 per package. Remember I got 57 cards made using two packages. All I had to add in was a card base, Christmas sentiment, and ink for the sentiment. Over the next three days I am going to share with you a few of the cards I made using the Stampin' Up! Product called Quick Accents - Letters to Santa, item #122369 ... $9.95 per package. I bought two sets and made 57 cards!!!! That averages out to 35 cents per card + card base. Pieces already have adhesive on them and stick well. I used white card bases and a Christmas sentiment stamp. The only additional product for embellishing I used was literally less than 1/4 of a sheet of card stock. Other than that, everything you see in the photos is from the sheets. I used every bit, even parts that many would of tossed. It created a great design when put on the card bases. I love the versatility of these self-adhesive designs. See the scallop on the bottom two cards. That is actually a remnant of what was left when the actual piece was used. Typically this would be tossed, but I saw its potential. Today we had a team meeting. Joan H. brought all kinds of material and supplies so that we could make these beautiful dress cards. The skirt of the dresses was made using the Big Shot and either a round scallop die or the square scallop die. The cherry skirt is the one I made with the round scallop die. Did you notice the last two cards? They are actually made using paper napkins for the skirt.So if you don't have material/fabric, a paper napkin can be substituted. The brown print is a Stampin' Up! Fabric. These would be perfect for a bridal shower, sweet 16, tea party, and so much more. I hope you will try making some. They really are fun to make. We had a team meeting today and Maureen brought these darling cards to show us. Aren't they great!!!!! She used 1 1/2" x 12" strips of paper scored every 1/4" to make the rosettes. 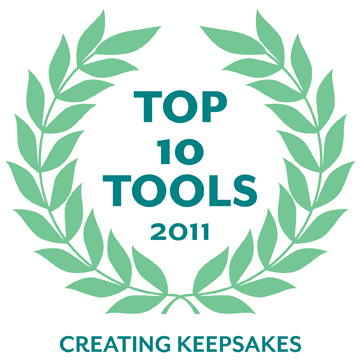 We're excited to announce that Creating Keepsakes magazine has named Stampin' Up! 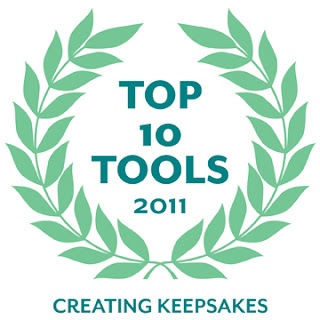 's wood- and clear-mount rubber stamps as one of its Top 10 Tools for 2011! While Stampin' Up! has long been recognized in the stamping and crafting industry for producing high-quality rubber stamps and exclusive images in a variety of artistic styles, being recognized by Creating Keepsakes is just another validation that when your customers choose Stampin' Up! products, they are choosing the best! The latest My Digital Studio downloads are now available. Most months my Stampin' Up! team does a card swap. We make card fronts or complete cards and swap them with other team members. Always fun and great to see what each person has created. This is my contribution of the swap this month. After making the card yesterday using all five of the In Color Ruffled Ribbons and Designer Brads, I thought it would be fun to create a smaller version (only three colors) for the swap. All products used were current except for the Happy Thanksgiving Stamp which is retired. I had used the stamp for Thanksgiving cards we had made for Cards for Soldiers Overseas. Didn't even think about it being retired when I made my swap cards. This design could be used for any type of card. Last night I was trying to come up with a unique design for a card. I knew that I wanted to use the 3/8" Ruffled Ribbon. I started to play with it and decided weaving it in and out would give it a great effect. Then I added in the Designer Printed Brads (they have polka dots on them). Very pleased with the card. It could be used for any occasion. The card stock under the ribbon is Island Indigo and was put thru the Houndstooth Textured Impressions Embossing Folder before adding the ribbon. Once the card front was completed, I leave adhered it to the card base using Sticky Strip. Very pleased with card. I am a fan of Michelle Zindorff and she made a card similar to this a couple of weeks ago. When I saw her version, I knew I had to make one too. I would of never thought of combining Rich Razzleberry with Basic Black Card Stock to make a Halloween card. But this combination sure does work well together, don't you agree. We have almost 2 full LARGE priority mail boxes full of cards for all occasions for the unit Afghanistan that we are sending to. The last few days have been filled with card making, card making, and more card making. Getting to use a lot of my retired stash items, so am glad of that. It really helps to cut down on the costs and we still have beautiful cards to send. I want to thank everyone who has been so great about donating their time, supplies, and cards to this project. You are all amazing, and I greatly appreciate all that you are doing to help me with this. Here are some more examples of the Sparkly Stained Glass Technique that I showed you on one of my video tutorials recently. This is another example of same type cards, but different looks. This was achieved by switching out the card base from Whisper White to Old Olive card stock. I have accented the cards with Glimmer Paper - Silver, item #124005. Stampin' Up! just posted a video on how to use the Triple Layer Punches we sell. Thought the video is worth sharing. 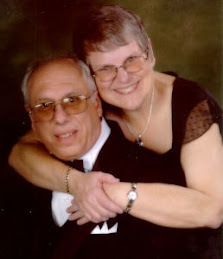 If you are reading this via e-mail, you will need to come to my blog to view the video. The latest My Digital Studio Downloads are now available. CLICK HERE to view. If you are looking for digital Halloween designs and paper, you will want to check this out. So many purse shells to choose from .... Thank you to Miche Bags for so many choices. Perfect Purse For You Blog - (all about Miche Bags -- it's a work in progress, but does have a few articles already.). Here's the latest new products announced today: New Hipster Style (all in one bag - no separate shell), coin purses, new red Hope shells and purse charms. Last time the coin purses and charms were offered, they sold out quickly. If you are interested, they are on my official website under accessories. I will keep most of the Miche info on the Perfect Purse For You blog, but will post here occasionally about it too. I just wanted to get the word out today about my new venture with Miche Bags, and felt this would be a great way to get the word out. 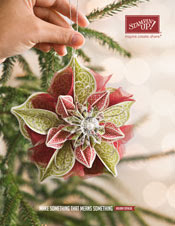 I was so excited to see Silver Glimmer Paper in the Holiday Mini Catalog for Stampin' Up!. The Red Glimmer Paper was a must have for me last year, so was thrilled to see it in our main catalog and also the silver to be added in now for the holidays. LOVE IT!!! Shalom Stamp is a single stamp that is wood mounted, item #121315. I actually stamped it twice, then layered it using Stampin' Dimensionals. I like the look. Happy Hanukkah is part of a larger stamp set which covers 1 dozen occasions. When you think of fresh baked cookies, do you think of mom and grandma baking away during the holidays. 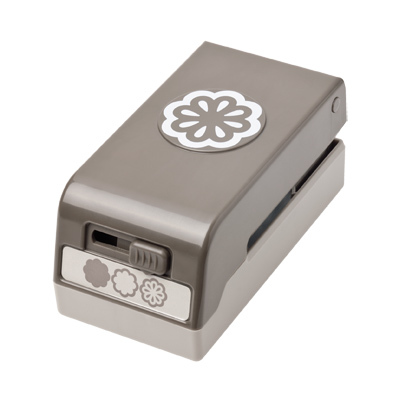 Well, now when you think of fresh baked cookies, you can think of Stampin' Up!. On October 1st, 2011 Stampin' Up! is introducing a brand new product called Sweet Pressed Cookie Stamps. It will be available to customers from October 1, 2011 thru January 3, 2012. Our cookies stamps have 3 designs: Heart, Snowflake and jack-o-lantern. This is the heart close up. I actually made 3 batches of these wonderful sugar cookies the other night. Our house smelled heavenly. The cookies were a major hit with my husband and our neighbor. Tucked the rest away for a Stampin' Up! event where I know they will be a big hit too. The diameter of the pressed cookie stamp is 2 1/2". It comes with two recipes. One recipe is for shortbread cookies and the other sugar cookies. I made the sugar cookies. Each batch made 16 large cookies. Sweet Pressed Cookie Stamp, item #125152 ..... $16.95 ... available October 1st. The stamps are completely food-safe and child-friendly. They are NOT meant to be used with our inks, glitter, etc. They are easy to use, easy to clean, and what a great gift idea too. I give this product an A+. Thank you Stampin' Up! Stampin' Up! Holiday Mini Catalog is HERE!! !